Natasha Mrkovich is a 25-year-old artist whose passion for music and the entertainment industry has enabled her to overcome many obstacles in life though her artwork, which she regards as a form of personal therapy. Subjects in her artwork have inspired her by their own achievements. 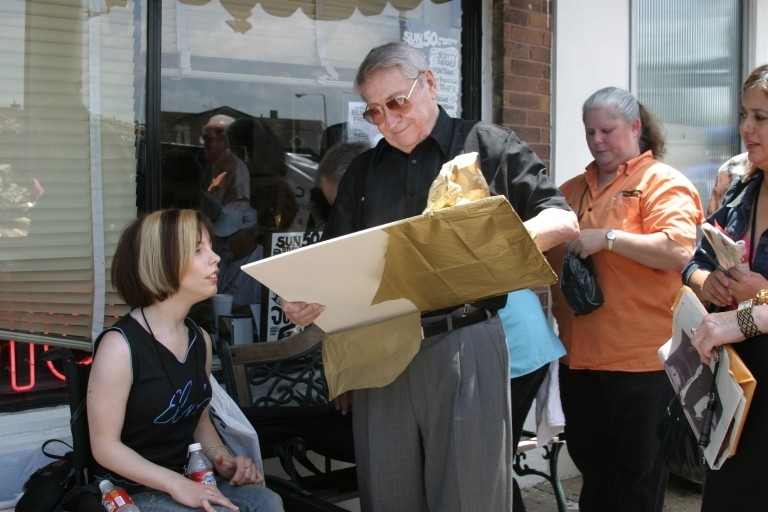 Born with Cerebral Palsy, Natasha admits the most rewarding aspect of her work as an artist has been that the public sees her through her artwork and not her disability. Her Motto behind the artwork: "As long as there is music I will continue to be inspired and hope to inspire others". Her artwork has been officially licensed by Elvis Presley Enterprises Inc. making her an official sanctioned artist for Graceland. 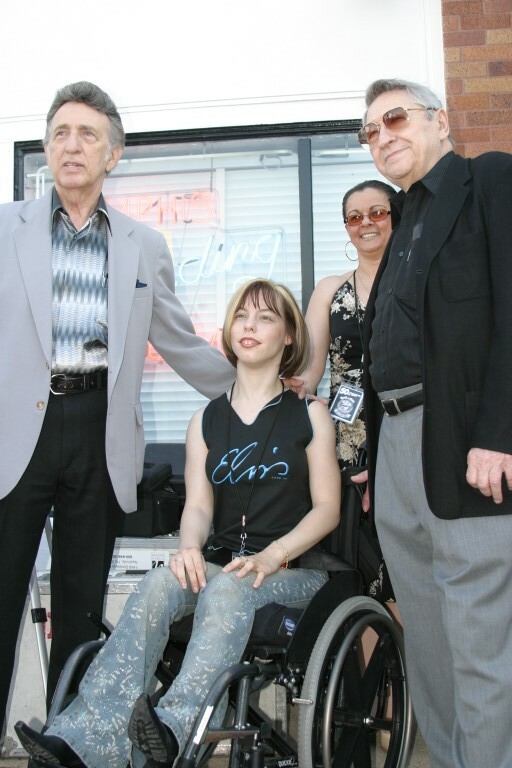 Natasha first met Scotty in Memphis during Elvis Week in August of 2003. Scotty and Elvis have been her heroes since she was a small child and their music has always made her smile. 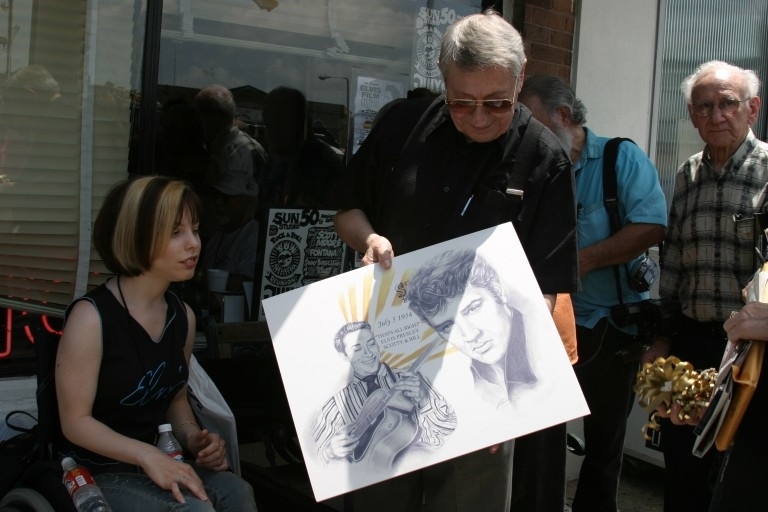 Scotty had seen some of her artwork of Elvis recently after her having been granted licensing by Graceland. Upon their meeting he said “Maybe you could do a portrait of me”. 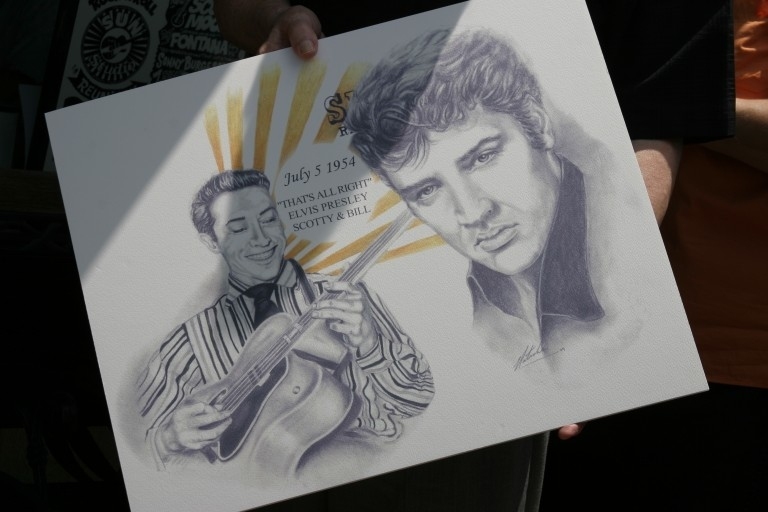 To help commemorate the "50th Anniversary of Rock & Roll" she created a special portrait of him and Elvis and on July 5th in Memphis presented him with a copy at Sun Studio. 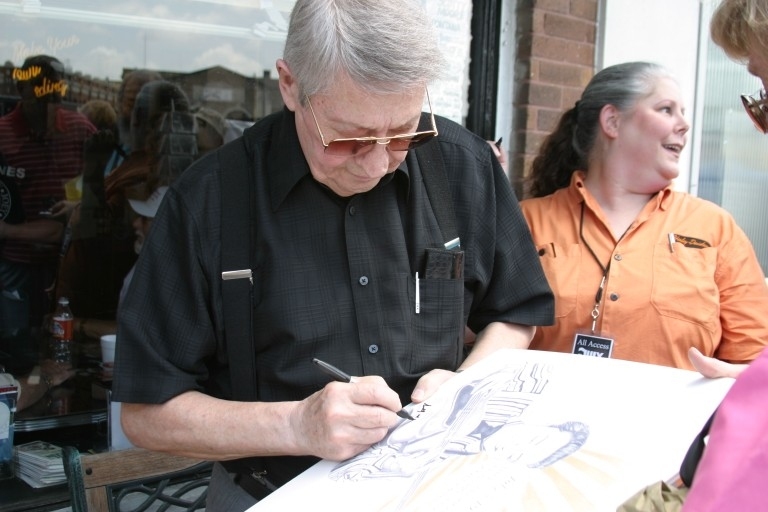 Scotty was honored to receive it and signed another copy for her. Prints of her portraits are available through her website "Portraits of Legends" at www.portraitsoflegends.com and a percentage of all proceeds for the "50 Years Commemorative portrait", as do all her work of Elvis will go to Presley Place - The Elvis Presley Charitable Foundation.